#5 : FAIRLY WRITTEN Service Agreements Also Provide ” A Highly Discounted Warranty / Hair-System Replacement Program." THE PRICING , TERMS & GUARANTEES CLEARLY EXPLAINED & WILL ALLOW THE CLIENT TO CANCEL AGREEMENT WITHIN “3” BUSINESS DAYS. THE LATEST HAIR-SYSTEM PRICING SCAM ! The Latest Pricing Scam In The Non-Surgical Hair-Replacement Industry ! Buyer Beware ! Ask Your Consultant : Will I Be Forced To Sign A Contract After This First System Wears Out ? How Much Money Per Month ? Are These 100% Custom Made From Scratch Or Pre-Made Stock Hair-Systems? I’m Gary Aquino , Designer And Founder Of HAIR OF THE ARTS in Austin,Texas Since 1982. I Was Also An Owner Of Apollo Hair-Systems in Texas Before Opening Hair Of The Arts. 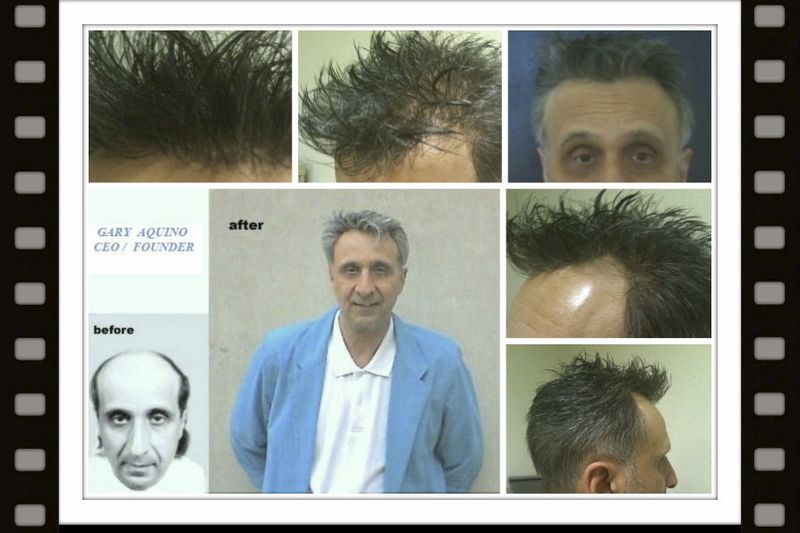 I Have Over “41” Years Non-Surgical Hair-System Design Experience, Over “47” Years as a Hair-Replacement Client And Over “38” Years As A Non-Surgical Hair-Replacement Studio Owner. A : Scalp Tattooing . In The Last Few Years This Procedure of Tattooing Micro-Dots On The Scalp To Resemble ” Stubble-Hairs ” Has Come On The Scene. The Safety And Longevity Of This Procedure Has Not Yet Been Fully Established To-Date. Costs Can Range From $3500 to over $ 12000 USD. NOTE : INDIA INK & MANY INKS FROM CHINA CAN BE TOXIC. All Tattoo Inks Fade From UV, Swimming & Chemical Agents. Therefore, "Re-Applications" Will Be Required Approximately Every "3-4" Years. Sunburns Can Also Damage Scalp Tattooing. YOUR REAL REMAINING SCALP HAIR STILL NEEDS TO BE SHAVED DAILY OR SCALP TATTOOS WILL BE OBVIOUS BECAUSE THEY DO NOT GROW! This Procedure Should NOT Be Confused With ” Non-Surgical Or Surgical Hair-Replacement “. Tattoos Are NOT Hair ! From A Distance This Procedure Might look like a ” Buzz-Cut ” … But Up-Close & To The Touch .. Not So Realistic… Hair is 3-Dimensional And Has Mass & Texture … Tattoos DO NOT ! I’m Including Here An Article Printed In Esquire Magazine That Pretty Much Sums Up ” Scalp Micro Pigmentation” . Balding? Please Don’t Get a Scalp Tattoo. ” Today in the ongoing war on baldness: A new trend seems to be taking hold, at least according to The Hollywood Reporter, which tells us that aside from old school methods like hair plugs and newer ones that suction hair off the legs and “punch” it back into your head, guys are using something called scalp micropigmentation. Or, to put it another way, guys are tattooing fake stubble onto their hair-free heads. Naturally, we find this disturbing. Not just because we firmly believe that there is such a thing as going bald with dignity, and that those men out there who are losing their hair should do their very best to strive for that. But also because, well, this seems like a deeply flawed method of masking your baldness for most guys. Why? Because hair is three-dimensional. Even when it’s really short. It has mass, and, more importantly, texture. Tattoos don’t. Now, the actors that the Reporter says are most fond of this new procedure, they might get away with a trompe-l’oeil version of this, being as we see them only on the screen, where we can’t confirm that, Huh, your supposed hair is completely flat and feels like skin. But when they get home to, say, a girlfriend that can see that tatted dome up close — and, crucially, touch it — you can bet the illusion goes right out the window. And then that girlfriend is just left with this: A man so desperate for a full head of hair that he has permanently inked himself with an approximation of one. If a flowing mane is follicular shorthand for virility, this is the exact opposite”. Lastly, The ” Straight-Line Hairline Without Temporal Recessions” And “Narrower Hairlines” Will Not Look Appropriate On All Ages And Races Of Individuals. When The Stubble-Look Goes Out Of Style … Then What ? A Hair-System? A Hair-Transplant Is Not An Option Until All The Tattoo Ink Is Removed From The Scalp. What A Hassle ! Think Twice..And Then Again… Before Getting Scalp-Tattooed. If You Have Any Questions About Non-Surgical Hair-Replacement Please Leave A Reply Here Or Email Me Personally ! Wishing You HAPPY HAIR-DAYS FOREVER! LOW LEVEL LASER & PRP INJECTIONS . Q : Does Low Level Laser Technology & PRP (Platelet Rich Plasma) INJECTIONS Really Re-grow A Natural-Looking Head-Of-Hair That Resembles A Normally Dense Hairstyle ? I Would Like To Partially Re-Print Here An Article Written By Lisa Sefcik Presented On Livestrong.Com : Does Laser Hair Restoration Work? ” Laser hair restoration spurred a heated debate between conventional hair restoration surgeons and providers of laser therapies. By the time the “New York Times” reported on a nonsurgical way to restore thinning follicles called “photobiostimulation” in June 2005, laser hair restoration had already been featured on primetime news shows like “Dateline NBC.” Despite media attention and heavy marketing of in-office treatments and laser hair combs for at-home use, medical experts and professional hair loss organizations are skeptical about the efficacy of laser hair restoration. In Salon Treatments Can Run Up To $ 5000 / Year ! In-Home Treatments Can Also Be Done . One Product, The HairMax Laser Comb ( Around $ 500 ) Has Been Approved by The FDA. It Is My opinion That Many Non-Surgical & Surgical Hair-Replacement Companies Are Simply Using Low-Level Laser Technology To Acquire New Clients With Minimal To Moderate Hairloss , Divert Them From Competitors And Then When The Laser Therapy Does NOT Work … Switch The Client Into A Non-Surgical Hair-System Or Surgical Hair-Transplant. Beware If You Are Going To A Hair-Restoration Company That Offers : Laser Hair Technology , Non-Surgical Hair-Systems And Surgical Hair Transplants. This Is Where The ” Bait & Switch ” Tactics Usually Occur ! I Also Feel That Many Deceptive Before / After Photos Are Being Used To Promote Laser Hair Therapy… Such As Wetting The Hair In The Before Photo To look Thinner And Then Blow-Drying The Hair In The After Photo To Look Thicker. PRP (Platelet Rich Plasma) Injections For Hairloss : Although PRP Injections Have Been Used For Many Years To Treat Various Medical Conditions, Since Approximately 2011 Centrifuged Hair Loss Client's Own PRP Has Been Re-Injected Into Their Scalps To Try And Restore Their Hairloss. To Date, PRP Has NOT Shown To Regrow A Naturally Dense Head Of Hair. At Hair Of The Arts In Austin Texas We Firmly Believe That There Are ONLY Two Ways To Have A Cosmetically Acceptable Head-Of-Hair Again : Non-Surgical Hair Systems & Surgical Hair Transplants… Providing That You Are An Acceptable Candidate For Either Procedure! I’m Gary Aquino , Designer And Founder Of HAIR OF THE ARTS in Austin,Texas Since 1982. I Was Also An Owner Of Apollo Hair-Systems in Texas Before Opening Hair Of The Arts. I Have Over “40” Years Non-Surgical Hair-System Design Experience, Over “47” Years as a Hair-Replacement Client And Over “36” Years As A Non-Surgical Hair-Replacement Studio Owner. HAIR OF THE ARTS in Austin,Tx Has Specialized In Non-Surgical Hair-Replacement Technologies Originally Designed For Performing Artists Since 1982 . If You Are A Performing Artist Or An Appearance Conscious Man Or Woman With Hairloss Contact Hair Of The Arts For A Free Consultation. Non-Surgical Hair-Replacement " Legitimate ? " The Message That I Want To Deliver To ALL Individuals That Are Experiencing Hairloss Is This : There Are Basically “TWO” Types Of Non-Surgical Hair-Replacement Buyers : 1) The Individual Who Wants To Cover-Up Their Baldness With The Least Maintained & Least Expensive Non-Surgical Hair-Replacement Option As Their Main Priority ; (2) The Individual That Is Seeking The Most Natural Looking Non-Surgical Hair-Replacement Technology At A Fair Value Price And Is Willing To Maintain It Properly And Replace It When Necessary. Which Individual Do You Think Is Going To Look Natural ? Easy Guess! NON-SURGICAL HAIR-REPLACEMENT VS HAIR-TRANSPLANTS . 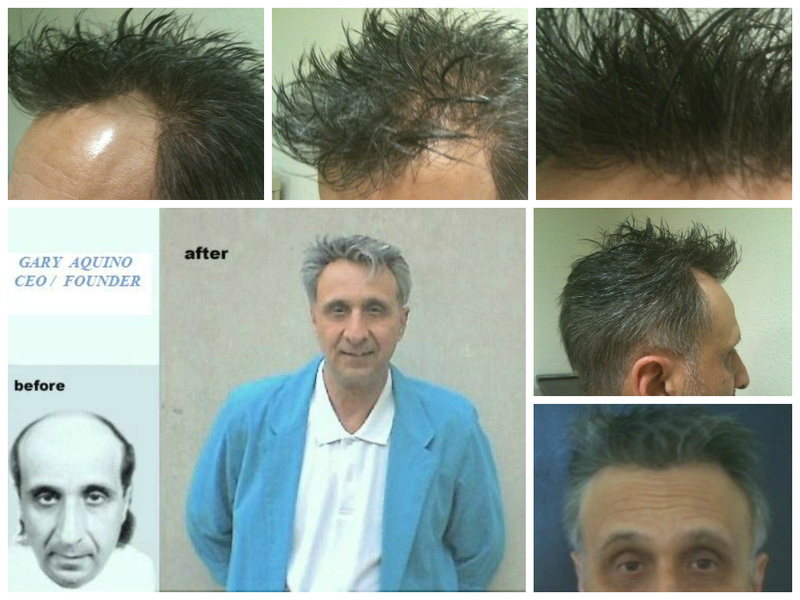 After “40” Years Of Consulting With Many Clients That Have Undergone Surgical Hair Transplantation … It Appears To Me That The Best Candidates For Hair-Transplantation Are Individuals : Middle-Aged / 50-ish Whose Balding Patterns Have Stabilized ; Who Have Ample Donor Hair-Supply In The Nape Area And Like Their Hair-Texture; Who Only Require A Hairline Or Small Area To Be Filled-In… Up To A “4” On The Norwood Chart Of Male Pattern Baldness. 100% CUSTOM "FROM-SCRATCH" VS CUT-DOWN STOCK HAIR-SYSTEMS . HOW MANY HAIR-SYSTEMS DO I NEED ? Q : How Many Non-Surgical Hair-Replacement Systems Do I Really Need To Purchase ? A : I’m Frequently “Amazed” By The Feedback From Many Of Our ” Existing / New Clients ” That Have Purchased Non-Surgical Hair-Systems Elsewhere BEFORE Arriving At Hair Of The Arts In Austin, Texas. Let’s Set The Record Straight ! OUR Non-Surgical Hair-Replacement Clients Need ” 2 - KNOTTED ” Hair-Systems At Any Given Time AND UP TO “3″ Hair-Systems Per Year : OUR Clients That Purchase ” V-Looped Or Injected (No Knots) ” Hair-Systems Usually Need “3 - 4″ Per Year. Many Non-Surgical Hair-Replacement Companies ( Mainly The Big Franchise/Chain-Sores ) Will Try To Sell You Up To “24” Hair-Systems A Year Or More For Up To $ 900 or More Monthly ! Ridiculous…Unless You Just Want 1 Or 2 New Hair-Systems Monthly. TOTALLY UNNECESSARY !! Actually , Wearing A New “Knotted” Hair-System Monthly Is NOT A GREAT IDEA Because It Usually Takes 2-3 Weeks For Knotted Hair-Systems To ” Break-In & Settle “. Therefore This Client Will Most Likely Be Frustrated Because ” He/She Will Always Be In A New/Break-In Period & Will Be Discarding Hair-Systems Right When They Become Their Best Performance Wise.” The ONLY Exception Is If A Client Abuses Their Hair-System By Wearing Tight Fitting Head Gear , Using UnRecommended Hair Products, Is In A Hair-Challenging Career Such As Skin-Diver, Etc. When Shopping For Non-Surgical Hair-Systems Make Sure That Additional Hair-Systems Needed During The Year ”Are Highly Discounted.” At Hair Of The Arts In Austin, Texas Client’s Can Purchase Additional ” Custom High-Quality Knotted Or No-Knot Hair-Systems During The Year For $ 395.00. ” Many Chain-Stores Charge Up To $1500 For Additional Yearly Hair-Systems ! DON'T OVER PAY ! BEFORE doing business with any Non-Surgical Hair-Replacement Company ” Do Your DUE DILIGENCE ! ” Check on-line for ” Consumer Complaints ” (pissedconsumer.com) , Check Their “CONSUMER GUARANTEE” … At The Least They Should Offer You A 100% MONEYBACK GUARANTEE If You Are Not 100% Satisfied With The Finished Results ! If You Have Any Questions About Non-Surgical Hair-Replacement Please Leave A Reply Here Or Email Me Personally! Wishing You HAPPY HAIR-DAYS FOREVER ! Which Offers The Best Non-Surgical Hair-Replacement Services ? Usually, The ” Independent Company ” . The Chain-Store Owner Buys A Big Brand Name & ” GLITZY ” Marketing Materials Whereas The Independent Practitioner Builds Their Business From The Start-Up With Skill-Level As Their Greatest Asset. The OVERALL NATURALNESS Of Non-Surgical Hair Design Depends On : HAIR QUALITY , INVISIBILITY OF THE DESIGN MATRIX And SKILL LEVEL Of The Hair Designers Involved. This Is Why Quality And Naturalness “Will Vary” From Chain-Store Branch To Branch. USUALLY, The Independent Practitioner Is Also A Non-Surgical Hair-Replacement Client & Truly Understands The Many “Design Pro’s & Con’s” BETTER Than Most Other Designers That Are “NOT” Non-Surgical Hair-Replacement Clients. THAT TECHNOLOGY WISE … FRANCHISE / CHAIN-STORE NON-SURGICAL HAIR-REPLACEMENT COMPANIES HAVE “NO” DESIGN ADVANTAGES OVER THE ” ASTUTE INDEPENDENT ” NON-SURGICAL HAIR- REPLACEMENT PRACTITIONER … THEY JUST HAVE ” GLITZIER “, SUPERIOR MARKETING MATERIALS.